The survey sponsor, the National Science Foundation (NSF), and the contractor for data collection, NORC, are committed to protecting the anonymity of all survey respondents. The information is solicited under the authority of the America COMPETES Reauthorization Act of 2010 (and previously the National Science Foundation Act of 1950, as amended) and the Confidential Information Protection and Statistical Efficiency Act of 2002. These laws require that the survey sponsors treat all information you provide as confidential. All information provided will be used only for research or statistical purposes by the survey sponsors, their contractors, and collaborating researchers for the purpose of analyzing data and preparing scientific reports and articles. Any information publicly released (such as statistical summaries) will be in a form that does not personally identify survey respondents. Per the Federal Cybersecurity Enhancement Act of 2015, your data are protected from cybersecurity risks through screening of the Federal systems that transmit your data. A federal agency may not conduct or sponsor, and a person is not required to respond to, a collection of information unless it displays a currently valid OMB Control Number. The 2017 SDR OMB Control Number is 3145-0020 and OMB approval for this study expires on 6/30/2020. Response is voluntary and failure to provide some or all of the requested information will not in any way adversely affect sample members. Security of Study Materials and Data. 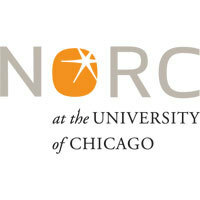 NORC has meticulously safeguarded respondent confidentiality for over 75 years and is widely respected for responsible behavior toward research participants. Standard data collection procedures at NORC incorporate numerous safeguards for the SDR study data. Hard copy study materials are stored in locked file rooms and are accessed from the file room only by authorized staff and only when necessary. All NORC electronic systems are on NORC's local area network (LAN). The network and the individual data capture system are password-protected, and only authorized users can access them. The SDR online survey uses Secure Socket Layer (SSL) technology which establishes a secure and encrypted connection between the respondent's computer and the NORC server on which the survey resides. Procedures to Protect SDR Data. While collecting SDR data for the NSF, NORC separates information that could identify a particular respondent from data about that person. These identifying and response data are stored separately. 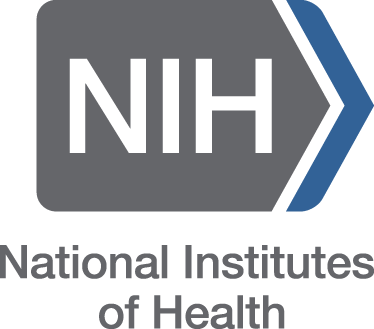 Before releasing any SDR data, NORC takes great care to summarize the data in such a way as to minimize the possibility of deductive identification of any individual in accordance with strict data confidentiality rules established by the NSF. 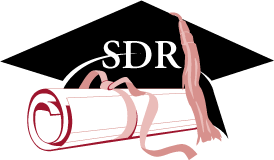 All people who have access to SDR data (study staff, management, and researchers using the data) are annually trained to maintain data security and confidentiality, and have signed Data Use Agreements in which they pledge to "not use the data in the file for any purpose other than statistical reporting, analysis, or other uses as authorized by the National Center for Science and Engineering Statistics at NSF. Information from the files will be released only in statistical summaries which do not disclose information about any individual." At NORC, failure to comply with this agreement results in immediate job termination.